Technology stocks have been on a tear in the last couple of years. 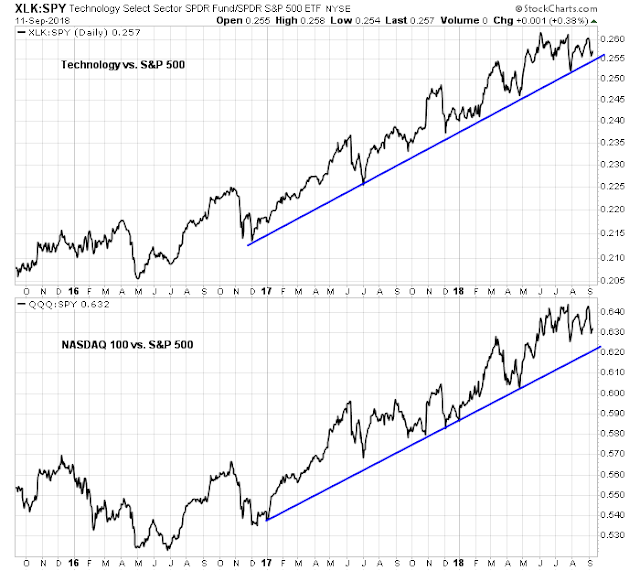 Indeed, both the Tech sector and the Tech heavy NASDAQ 100 has been market leaders. Tech earnings have surged in this cycle. By contrast, non-Tech earnings appear to be at or near a cyclical peak. Business Insider recently highlighted a Morgan Stanley warning on the Tech sector. It’s an age-old proverb — and one Morgan Stanley says applies to the tech sector. This is an alarming prognostication when you consider that tech stocks have been indispensable in pushing indexes to record highs. 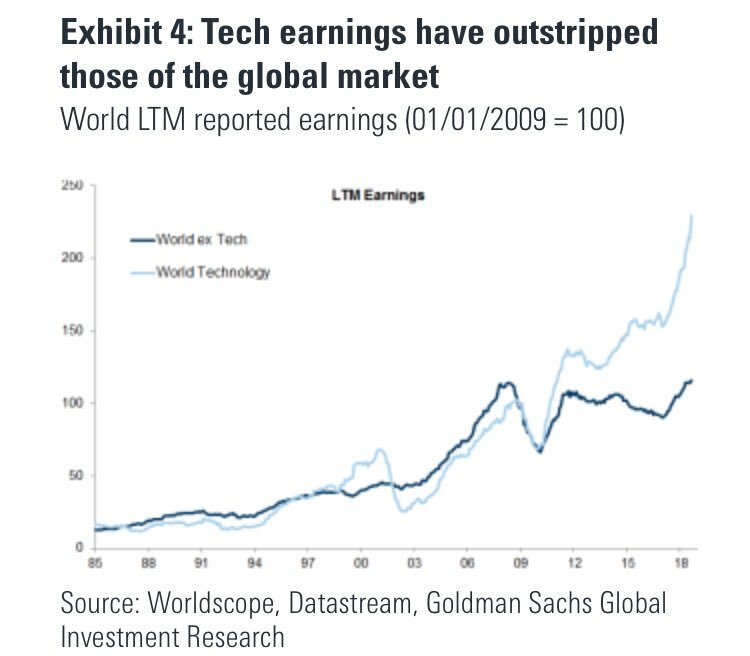 But Morgan Stanley is adamant that tech is due for a reckoning, and it boils down to two major reasons. First, the firm says weakness in the formerly red-hot semiconductor sector is crystallizing. 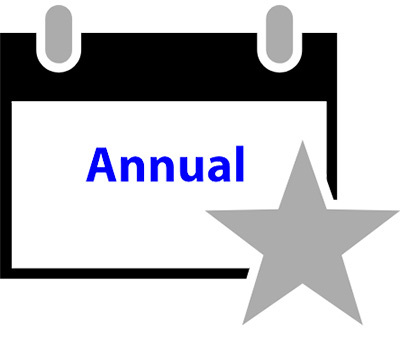 This is due to a decline in memory pricing, which has put pressure on margins in the industry. Morgan Stanley traces these issues to increasing inventory stockpiles for chipmakers. The firm says they’ve been unable to turn over their existing inventory, severely undercutting their pricing power. Second, the tech space is facing the possibility of new regulation, especially following a second round of congressional hearings with top executives. While there’s nothing immediately threatening about these types of events, that could change quickly. After all, so many tech stocks are already priced for perfection, which means even a faint threat to the status quo could result in deep losses. Indeed, the relative performance of semiconductor stocks appear to be rolling over. As for the sector’s rising regulatory problems, Tyler Cowen at Marginal Revolution put together a list of reasons of why Tech has so many political problems. Cutting to the chase, Silicon Valley is populated by too many engineers with poor people skills. 1. Most tech leaders aren’t especially personable. Instead, they’re quirky introverts. Or worse. 2. Most tech leaders don’t care much about the usual policy issues. They care about AI, self-driving cars, and space travel, none of which translate into positive political influence. 3. Tech leaders are idealistic and don’t intuitively understand the grubby workings of WDC. 4. People who could be “managers” in tech policy areas (for instance, they understand tech, are good at coalition building, etc.) will probably be pulled into a more lucrative area of tech. Therefore ther is an acute talent shortage in tech policy areas. 5. The Robespierrean social justice terror blowing through Silicon Valley occupies most of tech leaders’ “political” mental energy. 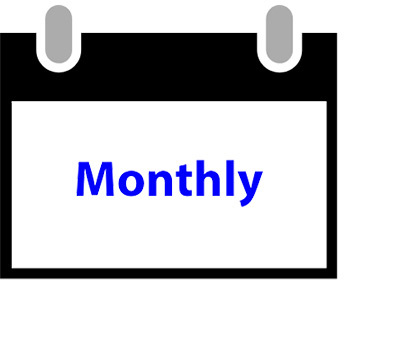 It is hard to find time to focus on more concrete policy issues. 6. Of the policy issues that people in tech do care about—climate, gay/trans rights, abortion, Trump—they’re misaligned with Republican Party, to say the least. This same Republican party currently rules. 8. Several of the big tech companies are de facto monopolies or semi-monopolies. They must spend a lot of their political capital denying this or otherwise minimizing its import. 10. Not only does tech hate Trump… but Trump hates tech. 11. By nature, tech leaders are disagreeable iconoclasts (with individualistic and believe it or not sometimes megalomaniacal tendencies). That makes them bad at uniting as a coalition. 12. Major tech companies have meaningful presences in just a few states, which undermines their political influence. Of states where they have a presence — CA, WA, MA, NY — Democrats usually take them for granted, Republicans write them off. Might Austin, TX someday help here? 13. US tech companies are increasingly unpopular among governments around the world. For instance, Facebook/WhatsApp struggles in India. Or Google and the EU. Or Visa and Russia. This distracts the companies from focusing on US and that makes them more isolated. 14. The issues that are challenging for tech companies aren’t arcane questions directly in and of the tech industry (such as copyright mechanics for the music industry or procurement rules for defense). They’re broader and they also encounter very large coalitions coming from other directions: immigration laws, free speech issues on platforms, data privacy questions, and worker classification on marketplaces. 15. Blockchain may well make the world “crazier” in the next five years. So tech will be seen as driving even more disruption. 16. The industry is so successful that it’s not very popular among the rest of U.S. companies and it lacks allies. (90%+ of S&P 500 market cap appreciation this year has been driven by tech.) Many other parts of corporate America see tech as a major threat. 17.Maybe it is hard to find prominent examples of the great good that big tech is doing. Instagram TV. iPhone X. Amazon Echo Dot. Microsoft Surface Pro. Are you impressed? Are these companies golden geese or have they simply appropriated all the gold? Bernie Sander`s Stop BEZOS act, which targets Amazon`s pay practices, is a manifestation of the Tech backlash. In addition, Donald Trump is no fan of Jeff Bezos, who is also the owner of the Washington Post. If Trump were smart, he would target Amazon the way the Justice Department targeted Microsoft for its cross-subsidization practices. 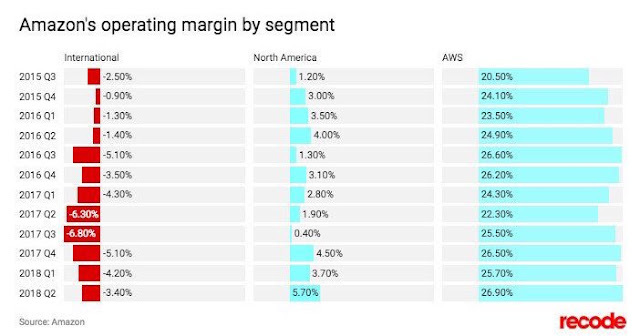 The chart below demonstrates the operating margins of Amazon`s retail business compared to Amazon Web Service (AWS). If Amazon were to be forced to spin off AWS as a separate business, its retail business would face considerable operating headwinds. In short, Tech has been leading the market for a couple of years. Morgan Stanley believes that the sector is vulnerable to a setback from both a cyclical and regulatory viewpoint. If the stock market is deprived of Tech leadership, what would be left? Watch Tech. If its performance starts to crack, then it would be a signal to batten down the hatches. Could the Hang Seng and Shanghai indexes be bottoming here Cam? What makes you think that? Both are still falling. The charts of kweb bzun tcehy jd ach. Stefano Bottaioli @stebottaioli says the eem/gold ratio is bottoming and thus he likes gold here, but we could be looking at a bounce in Ger., Fr., ?eem. This could mean bubble-on USA. I had to drive to a library to see a chart of eem before presuming eem could be bottoming, and it looks good for a bounce. The fact that my TMobile has slowed to a stop is also a tell. Correction: It’s the eem/spx ratio that Bottaioli believes correlates well to gold. EM looks washed out here and could be due for a tradable bounce. As to the question of whether any rally is sustainable, the jury is out on that question.